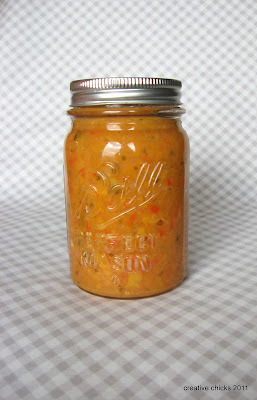 This is a slight variation from attaching Contrasting Binding. I suggest you go look at that tutorial first, if you haven't already seen it, before scrolling down this post. I refer back to that first post some so I don't have to repeat a bunch. You would use this technique of continuous binding/strap when making tankini tops. It can also be used as a contrast on other suits too. 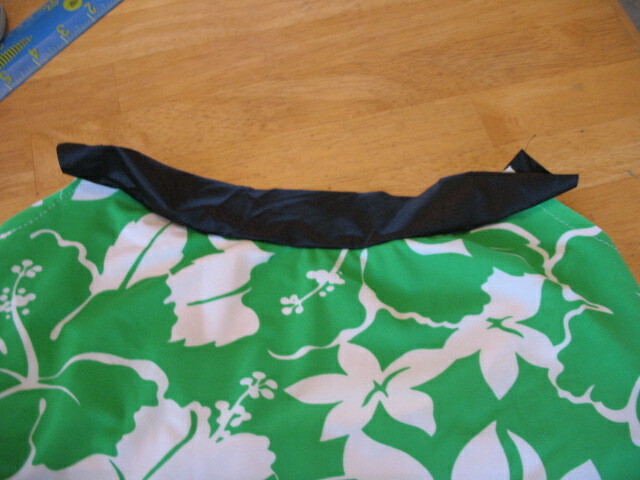 Attach the front neckline binding to the suit--right sides together. The pic below shows without lining. Then attach the elastic to this section of the suit. It attaches to the seam allowance on the right side of the suit. Flip the binding piece over into the inside of the suit. Pin and topstitch with double needle. 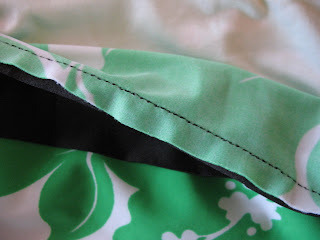 Carefully trim the excess fabric from the binding. 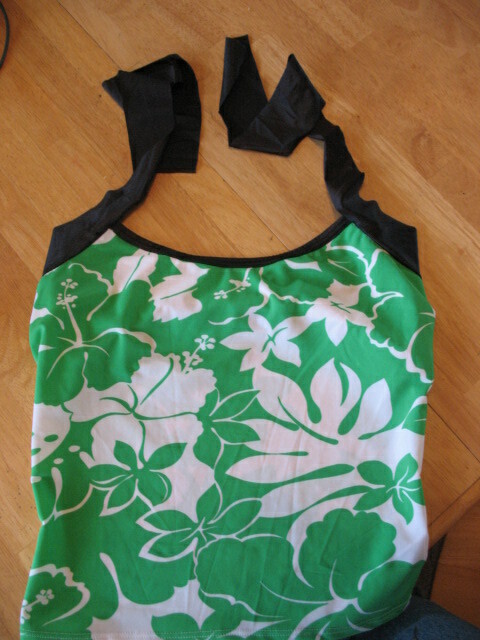 Next you will attach the binding for the back/armhole/straps. I usually cut my binding piece a couple inches longer than the pattern indicates. I want to make sure I have enough to fiddle with the strap placement. My girls prefer to have the straps cross in back--then you don't have to worry about them falling off, etc. Most of the tankini patterns I've seen or used just have the straps be straight over the shoulder. 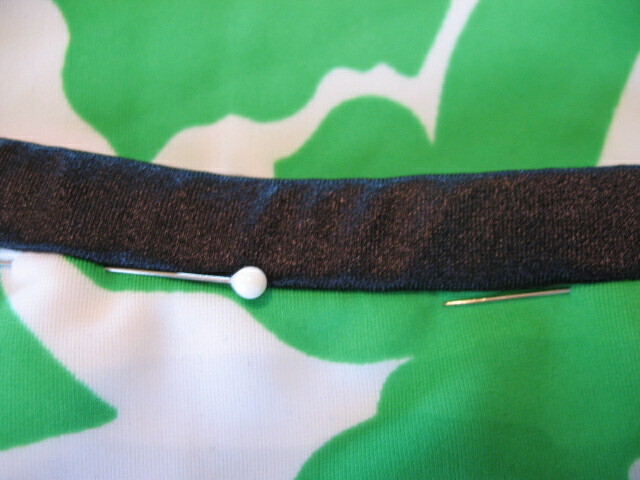 Next you will attach the elastic to the suit and binding. On the back/armhole it will go thru the binding and suit and then once you reach the front neckline you will be attaching the elastic only to the binding strip. Hopefully this picture gives you a good idea of what is going on. You will then do exactly like the front neckline: flip the binding piece back over the elastic into the inside of the suit and pin and topstitch. Keep doing the same for the strap portion too. Check here for some pics on how the strap portion will look. Topstitch continuously starting at one end of a strap, continuing onto the armhole/back and then to the end of the next strap. Measure and determine placement of straps and topstitch in place. 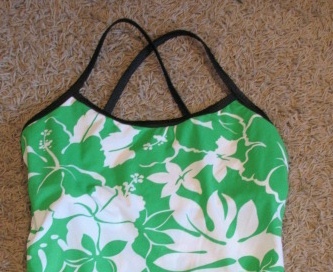 Kwik Sew 2868 is a tankini style that for sure has directions for this technique. It appears that pattern Kwik Sew 2689 would also show how to do this type of strap. 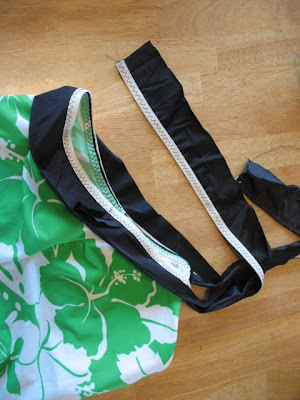 Kwik Sew's Swim & Actionwear book also has great directions and pics on how to do this. 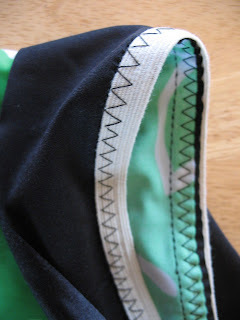 It also shows how to add contrasting binding to any style suit pattern. Which is basically what I have done in the past with the one shoulder suit. Thank you for comprehensive swimsuit sewing instructions! Thank you for ALL the tutorials and helpful hints. It's inspired me to try again... and actually has be pretty excited about it!